You will make your presence known quick when you wear high collar purple button down shirt by Axxess. Axxess brings the style to you and the club with their ever changing styles, colors and pattern shirt fabrics that they then make into modern fit button down high collar shirts. 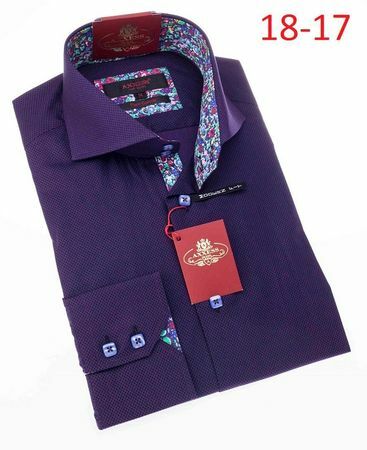 This high collar purple button down shirt by Axxess features a high style collar with double button big cuffs Wear this high collar purple button down shirt with a blazer and designer jeans and you'll play the part on club night.